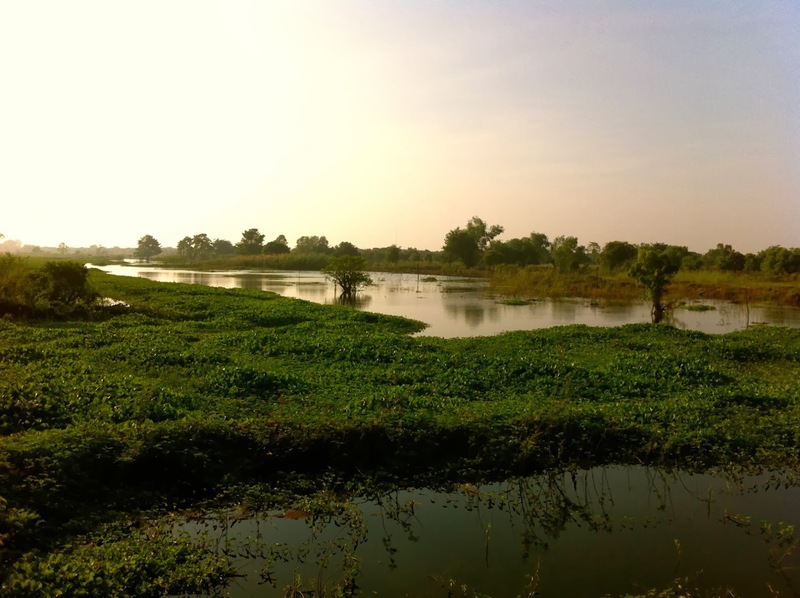 In 2013 I was a few days in Phnom Penh and made a nice bicycling tour. 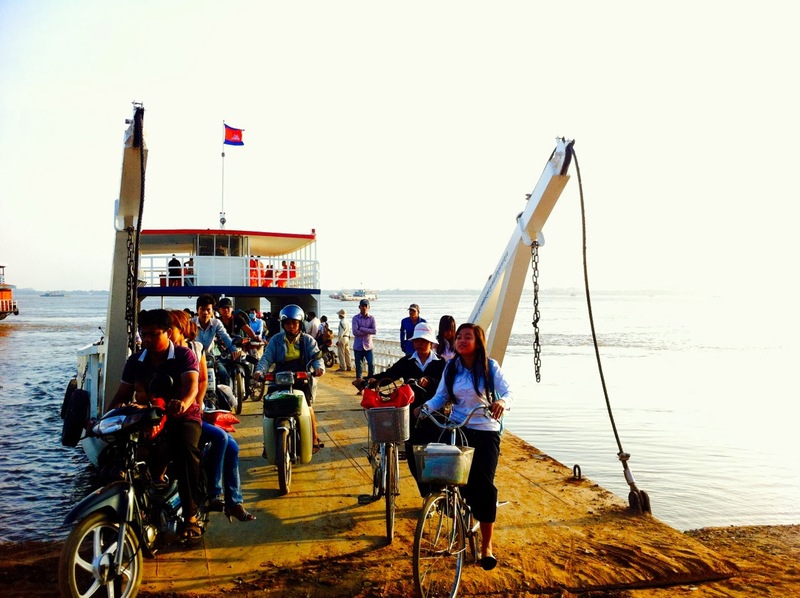 Although the city might seem chaotic and busy, upcountry Cambodia is just a ferry away. I rented a bicycle from Grasshopper Adventures the day before and 5:45 I started by little trip. From my hotel I bicycled to the ferry at Naga World to cross the mighty Mekong River to Areyksat village. 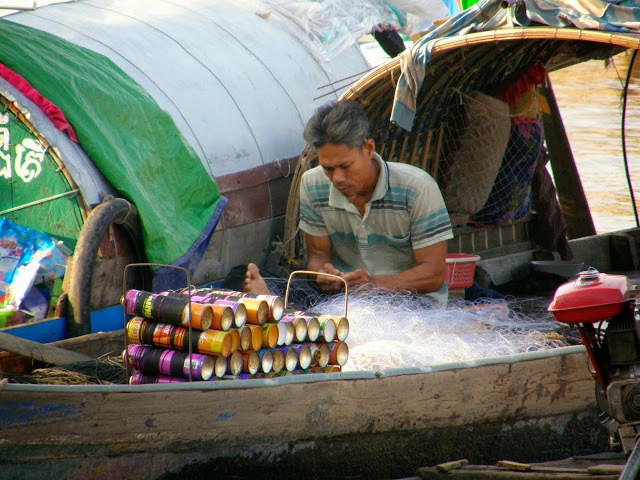 I explored the nearby villages and did go north along the Mekong River to take the ferry Svay Chum to the peninsula between the Mekong River and the Tongle Sap River. At the ferry point there is a fresh vegetable & meat market, full of people from the other side who come shopping here. Crossing the peninsula I took the "Cambodian Japanese Friendship Bridge" back to town. This was just a small tour and there are many other way of bicycling & boat tours nearby the city of Phnom Penh. The roads are not busy, a bit dusty and it is all flat. So it is easy and safe bicycling.